Once you have entered in all Criteria, assigned rating scales to them, and added all Alternatives to your Portfolio you are ready to set up Ratings collection. The ratings setup wizard will walk you through all necessary steps to begin a ratings collection. Instructions can be provided to communicate due dates or why participants are being tasked to rate Alternatives for the Portfolio. 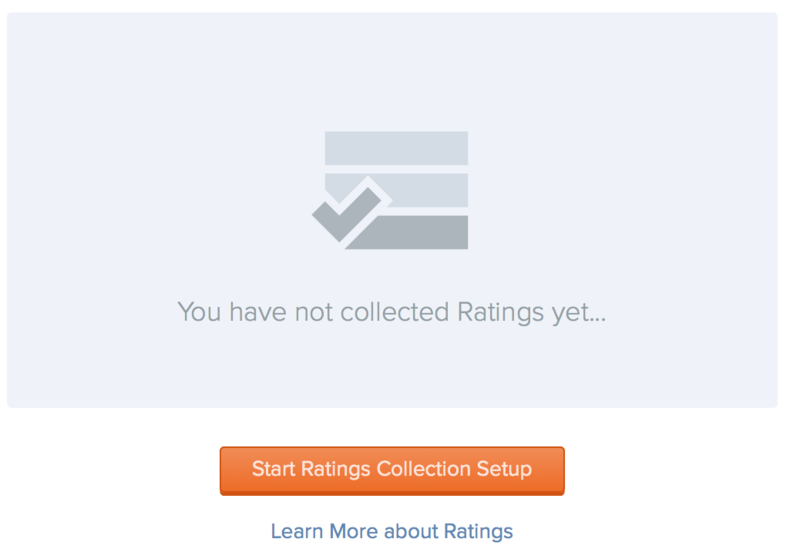 To get started, navigate to the Collect Ratings screen and click on the button. If Ratings Collection has already began, you will see a button in the top right of the screen. Instructions and attachments will be included in the email participants are sent when ratings are opened. 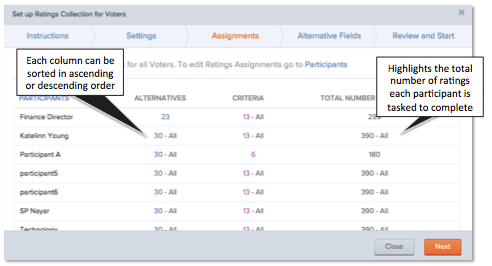 And displayed on the rating overview scren when participants click their task to complete ratings. 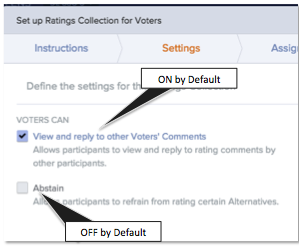 The settings tab allows Owners to configure voter permissions, create comment labels, and set the priority set voters will see their results against. Settings can be edited once rating collection has been turned on. Abstain: Adds an option for voters to “Abstain” from rating Alternatives they are not sure how to rate. 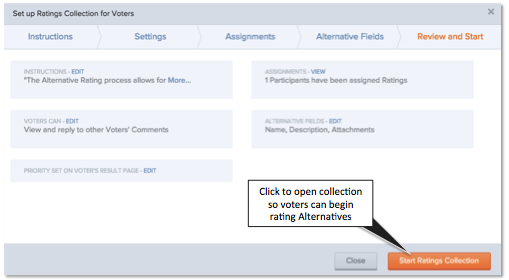 Use the Assignments tab to review all voters ratings assignments prior to starting the rating collection. To edit Assignments go to the Participants tab. 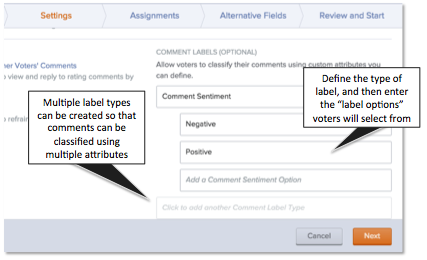 Next, determine if any of the Alternative fields should be marked as private. 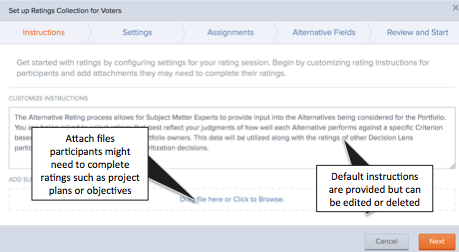 These fields will not be visible to voters when they view information for Alternatives while rating. Lastly, take a final review of all permissions and settings they have enabled for rating collection. NOTE: If you want to close out of the setup screen prior to Starting a Ratings Collection, choose the Save and Close option in the lower left.